In Markbook V2 you can set columns to scale alpha results to numeric (eg. a result of ‘A’ is converted to a score of 5, B to 4, C to 3 etc), and numeric results to alpha (eg. a result of between 100 and 85 is converted to A, 84-70 a B, 69 to 50 a C etc). You will need to Refresh PCSchool for these new codes to become available. It will always take the UPPER VALUE as falling within the range. You must have created your markbooks for Spider (see Markbook with Formula Documents). A column must exist for the result to be entered in by the teacher, and a column that will show the scaled / converted result. 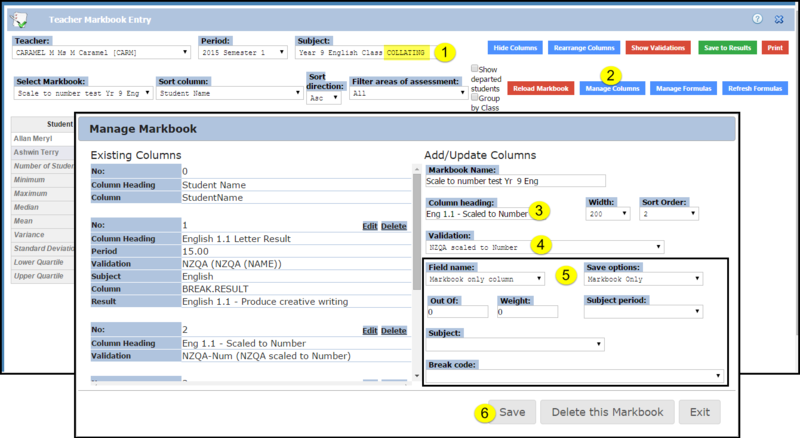 If column was created in Back Office and you are editing it the synch information should default. 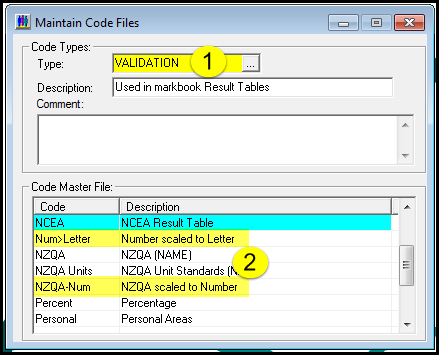 wish to save the scaled / converted results in the markbook only select the options as shown above. 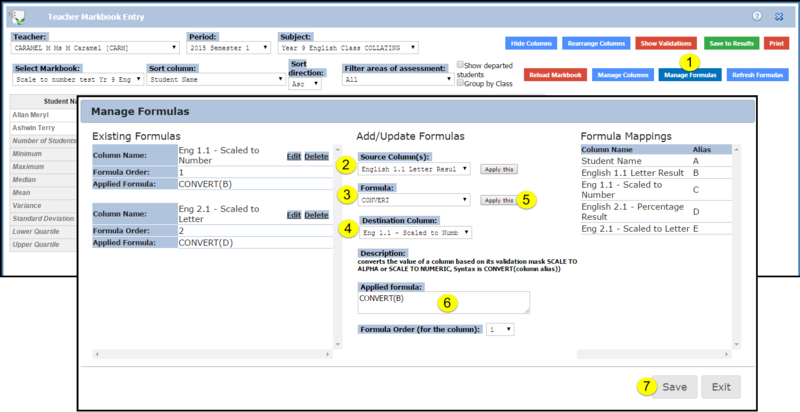 wish to save the scaled / converted results to the student (to print on reports) you will need to Manually Synch the column to the correct fields. Scaled result will appear in relevant columns.